Guilderland Board of Education members have decided to cancel the upcoming focus group that would have discussed the building capacity study, which lacked widespread community support. The Bethlehem girls cross country team needed a tiebreaker to win the John Converto Girls Varisty 2 division race at the E.J. Hermann Invitational Saturday, Sept. 27, in Utica. 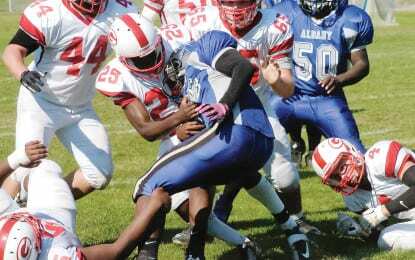 The Guilderland football team broke into the win column for the first time in 2014 at another winless team’s expense.